Just Jeeps Smittybilt Tire Repair Kit | Jeep Parts Store in Toronto, Canada. 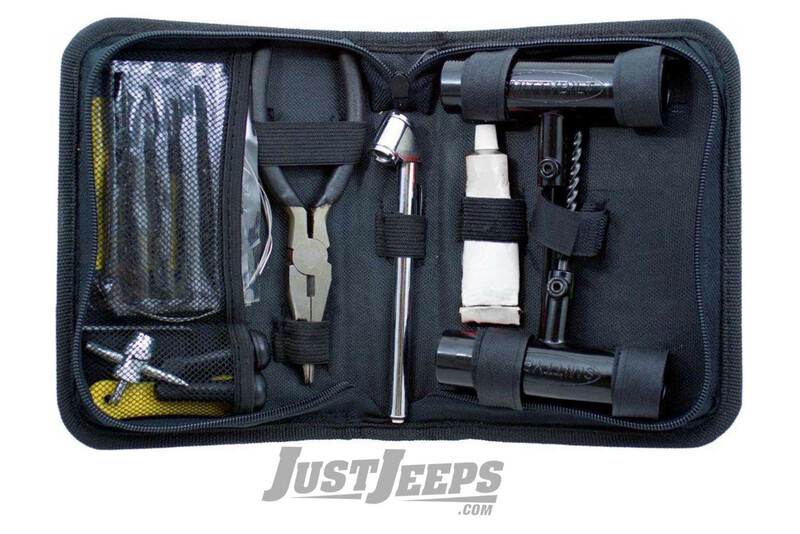 It includes everything you need to mend a punctured tire comes in a compact soft pack for easy stowing in a glove box or under a car seat and is ideal for any car, truck, trailer or UTV. Be prepared for the unexpected!